Below is a guest posting on the subject of the technology options that are changing the way we live in our homes. As an Interior Designer I need to be aware of the ever changing technology options that can have an impact on the overall design and functionality of a space. With the rapid pace of change we are experiencing in this area it honestly can be a part-time job in and of itself to keep abreast of it all. That is one of the reasons S Interior Design welcomed the opportunity to learn more and share it with you! Thank you Jackie Mason for writing the article and sharing it with us. Make sure to click on the links imbeded in the article to get the full story. Over 40% of American households use smart technology, with an average of 3.5 smart devices used in each home. Smart technology often appeals because of the convenience and time saving it provides. A lot of smart technology also offers a way of updating your interior design easily without any major cost. The stylishness of many of today’s emerging gadgets makes it easy to see why so many people are incorporating them into the design of their homes. Here are just a few examples of the kind of smart technology that can give your interior design real style and added functionality. When it comes to home living, you can ‘go smart’ anywhere in the house. 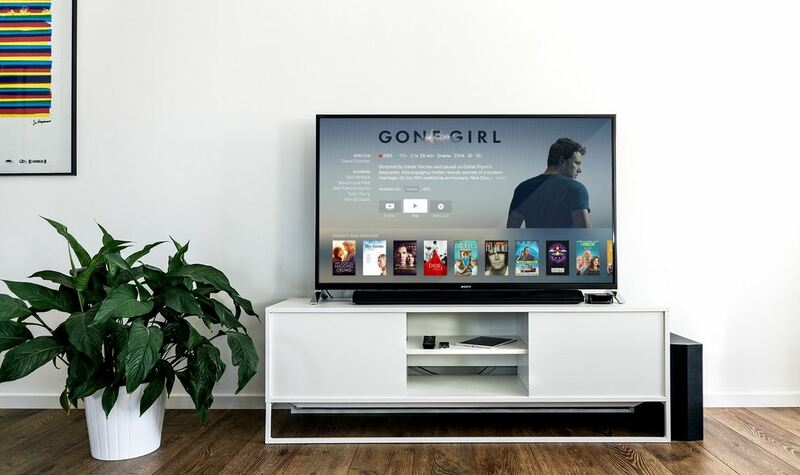 However, one of the areas of smart technology that people are drawn to most is home entertainment. Television screens are becoming more and more streamlined and multi-functional. The transparent TV is particularly worth a mention. Still in the early stages of development, the TV shows high-definition images when switched on and can blend into the background as a transparent screen when turned off. This means that you can have the sought-after high quality as well as discretion; the television doesn’t have to dominate the room. LG takes this combination one step further with its roll up and down television screen. The TV screen can be wound down when you don’t want to watch it or would rather it was out of sight when not in use. The screen size and aspect ratios can be adjusted to suit different uses – whether that be for television, computing or photograph displays. Research shows that the kitchen is the most important room to homeowners when it comes to interior design. This has led to a rise in the number of smart kitchen gadgets entering the market – and potentially people’s homes. These include smart ovens: gone are the days where you have to slave away over a hot stove after a day’s work. Smart ovens can link up with your smartphone, registering the food that is in the oven and making recommendations on cooking methods. The technology involves means that you can monitor the cooking away from home if you want to, carrying on with other tasks in the meantime. The result is a tasty meal that was stress-free to make. Lighting design has evolved with an environmental focus, with many companies using efficient LED lights. This is not at the cost of style and functionality, however. Examples of smart lighting in the home include SmartLamp, which is controlled by its own app and allows you to change the color of the light, depending on your mood. You can also choose a color to accompany music you are listening to, making SmartLamp an effective tool for entertainment and creating ambiance.